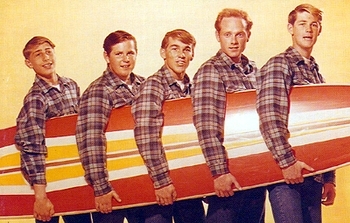 I went on a mad and time-consuming quest to find and curate a collection of the best Beach Boys rip-off bands. Hours and hours gleefully spent loitering in the YouTube ‘related links’ bar revealed a plethora of imitations. Some revelatory, some competent, and some best left unspoken of. Yet as I researched each song, they were all either directly or indirectly connected to the Beach Boys. The web of names seemed inescapably interrelated, never to be transcended. Their organization would take on all competent imitators as collaborators the same way Mia Farrow would later adopt children. The cases are several. Glen Campbell, before becoming a bastion of bland with “Wichita Lineman”, was a touring member of the Beach Boys and recorded the track here with Brian Wilson as the producer. The Sunrays, represented here with “Andrea”, were Murry Wilson’s attempt to prove he was a genius too. The rest of the one deeply mediocre Sunrays album conclusively disproves this assertion, while Murry’s later foray into muzak, The Many Moods of Murry Wilson, makes me wonder if my previous use of “mediocre” was too charitable. Brian’s wife sung lead on the American Spring tracks and on The Honey’s classic surf cheese “He’s a Doll.” So these weren’t exactly rip-offs, not exactly side-projects. Some genuinely had no direct Beach Boy involvement (Tony River, The Tradewinds, The Westwoods). Left with their father’s features, but without his name. Beach Bastards. It was settled. The delightful curiosities on this record are numerous. Leading off is “New York’s a Lonely Town”, by the Tradewinds, which AllMusic called the best of the Beach Boys imitations. It was the Tradewinds’ only hit, a modest one, and the song has since drifted into obscurity. This makes the second song, The Westwoods’ “I Miss My Surfer Boy Too”, an anomaly: an answer song to a song now nearly as much forgotten, and one of the few answer songs I would hold as being an equal to the song that incited it. For those desiring a bit more trivia, the strong Spector-vibe attached is probably because the song was produced by Spector’s right hand man Jack Nietzsche. Speaking of Spector, some of you might recognize Modern Folk Quartet’s “This Should Be the Night” from the Back to Mono boxset. This is an odd case of reverse influence; while Brian Wilson was a noted Spector-obsessive, this is the only case I’m aware of where Spector is attempting to delve into Wilson territory. Other connections are far more numerous than they are meaningful, and I leave them to you, pop obsessive, to tease out. 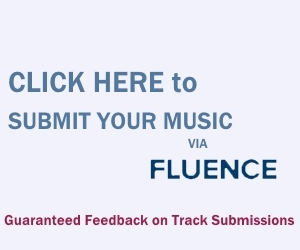 A couple songs are dumb out of negligence, and more are dumb as an homage to that negligence. 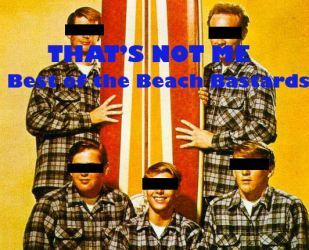 While the Beach Boys were never particularly renowned for their way with words, the Beach Bastards are a stewing cauldron of half-rationalizations and contempt. “He’s a Doll” might be the most blatant example, showing what Brian Wilson (or whoever his co-writer was) thought women wanted. “He’s not very tall, but he’s not too short / He’s just the right height.” The Goldilocks approach to romance. “He’s got a broken-down car, but he keeps it clean.” Just take me now! But all snark aside, just turn off your brain and enjoy it. It’s summer for goodness sake. Excellent. You could have included just about any tune from “Freedom Wind” by the Explorers Club as well. It’s uncanny. Funny, I made my own fake Beach Boys mix and it didn’t include any of these. Plenty to go around. Great tracks but please note – not by the Beach Bastards! Thank you for your great compilations. Is there any chance you could make this one available again?